These #BadAssBabes are part of our Passport Program. Being a female entrepreneur is hard and we know and love and respect each and every woman we have the privilege of working with. Richmond is a community built on collaboration. A community made of support for local business, local entrepreneurs, local food, local product. As a member of this community it only feels right to highlight some of the incredible female business owners I work with and know and share their talents and gifts. Co-Owners of Butter & Filth. Butter & Filth is is a comprised of Heather and Nia’s 35 years of combined background in fine art, pole dance, and gymnastics. We’ve constructed an experience that raises the bar on how pole performance is taught, learned, and observed. Our focus begins on your strengths. We believe thats where magic happens. We are interested in acceptance of the self and of others.. Owner of Jane Marie Designs, Jane’s work can be seen all over RVA and Amazon. Creativity is at the heart of all Jane’s work- both professionally and personally. She believes in helping brands get to that next level and can design a perfect brand fit for you! Owner of Vitality Float Spa. Kenzie and her team aspire to provide the highest quality restorative services that nurture physical, emotional, and spiritual health. They use organic products and herbs from Vitality's rooftop garden for their services. Vitality Float Spa, located in the heart of Richmond, Virginia, is an oasis escape from the demands and strain of every day life. With over 17 years of style and image consulting experience and one of 126 people in the world as qualified as a Certified Image Professional, Joanne Rae is Virginia's premier image consultant. As owner of The Style Educator, she helps define your style and strategically plan your wardrobe. Making your life easier, saving you time and money by taking the stress out of getting dressed. 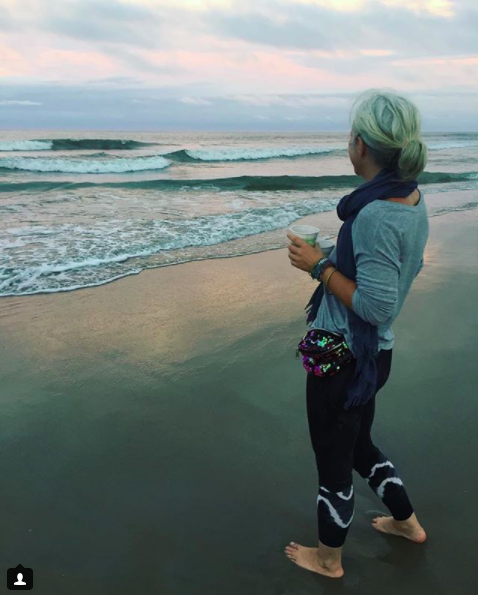 Amy is the owner and founder of SuperFun Yoga Pants. She chooses to work with small, preferably women-owned brands that put an emphasis on quality. Brands with passion and purpose. 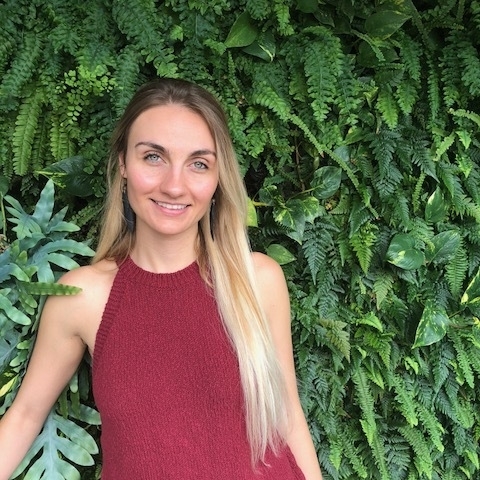 Owner of Jenna Witte Photo, she is a Richmonder, a DIY queen, a nursing student, and a devout Bagel Bite enthusiast. Her style of photography involves an authentic, relaxed, and natural approach. She loves photos that tell a story - a realistic story. one cannot rely on memory alone to hold onto the delicate, magical details of life and love; for this reason, she is passionate about creating tangible reminders of your history. She is here to capture the magic. 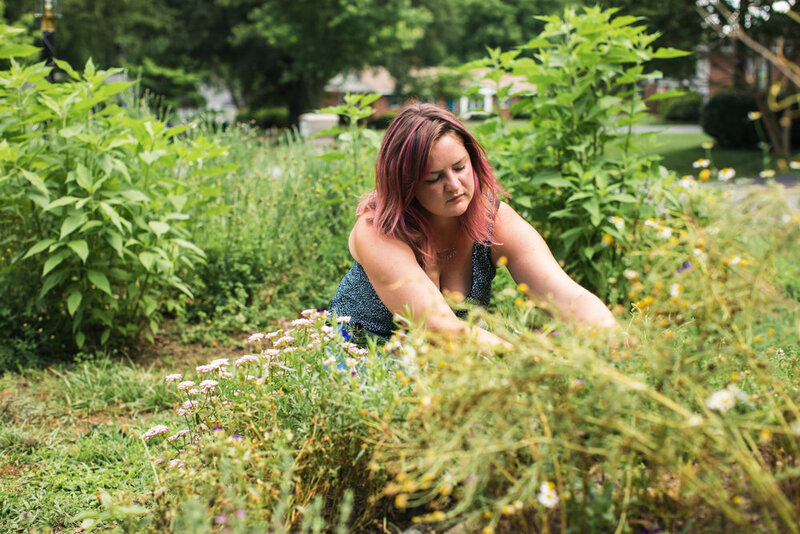 After gardening at home and at school as the Garden Education Coordinator at the Weinstein JCC, Owner Amanda Montgomery decided to take the leap and launch Hummingbird Gardens (HBG), growing cut flowers, herbs, and edible flowers at home on the half acre she shares with her husband Michael. By employing growing practices rooted in respect and love for the land, she is creating not only a place that inspire the senses, but also a catalyst for collaboration and community building. Here; at Holy Chic, we continue to research the nail industry and look for solutions to provide an eco-chic option for manicures and pedicures. Knowing that the average nail salon uses 15 gallons of water per pedicure service, we flipped the traditional pedicure on its head and offer a waterless service to our deserving clients. Saving more than 225 gallons of water a day (or the equivalent of an entire swimming pool each year), Holy Chic offers trendy nail services with an eco-friendly twist. Owner of Muscle and Bone. Stephanie DeVito has been practicing massage therapy since 2009. While in Northern Virginia, Stephanie taught massage therapy at the National Massage Therapy Institute. Education has always been important to her and it is an integral component to the work that is done at Muscle + Bone. Move, Do & Connect describes what Sarah does and how she works, better than a Marketing Consultant or Business Coach. She likes people and good ideas. She loves figuring out how to get those people and ideas noticed by the right audience. She believes in building and growing your tribe, fan base or community by telling your unique story is marketing. Christina is the owner of Tiramisu for Breakfast, a local PR and social media agency. At TFB Agency, they know social media. They believe that social media should amplify the things your business is already doing well and be a reflection of your values and performance. Whether you’ve been advertising for years or you’re just starting out, they create customized plans that integrate social media into your overall marketing, advertising and customer service strategies. They also provide ongoing education and training to put the power in your hands to tap into the power of social media for the results that matter to your business. Abbie is the owner of Eat Smart. Eat Smart is a weekly meal service for busy people like you. They take the freshest ingredients and prepare your meals with care. Then they deliver them to you or you can pick up from one several locations. At the very core, that’s what Eat Smart is about. It is about the fact that sometimes the simplest acts of care bring joy to those giving them. Each week, Abbie feels joy in planning and cooking for people. She hopes the meals make life a little easier, a little more manageable, and a little more enjoyable for all of her customers. Owner of Guestroom Creative. Bethany has been designing beautiful things for the past 8 years. She prides herself in sleek marketing collateral, branding and wedding stationery. She is also a stickler for brand guidelines. It is so important that your visual brand remain consistent, whether it’s an instagram graphic, tradeshow banner or a tri-fold brochure! Leader, starter, builder, Shannon Siriano Greenwood is an advocate for anyone looking to chart their own path in life and business. As the co-founder of Rebelle Con, a conference promoting lifestyle design, she supports women in defining and achieving their own version of success. She is the host and creator of web series, What Does It Take that features stories from small business owners growing unique brick & mortar businesses. 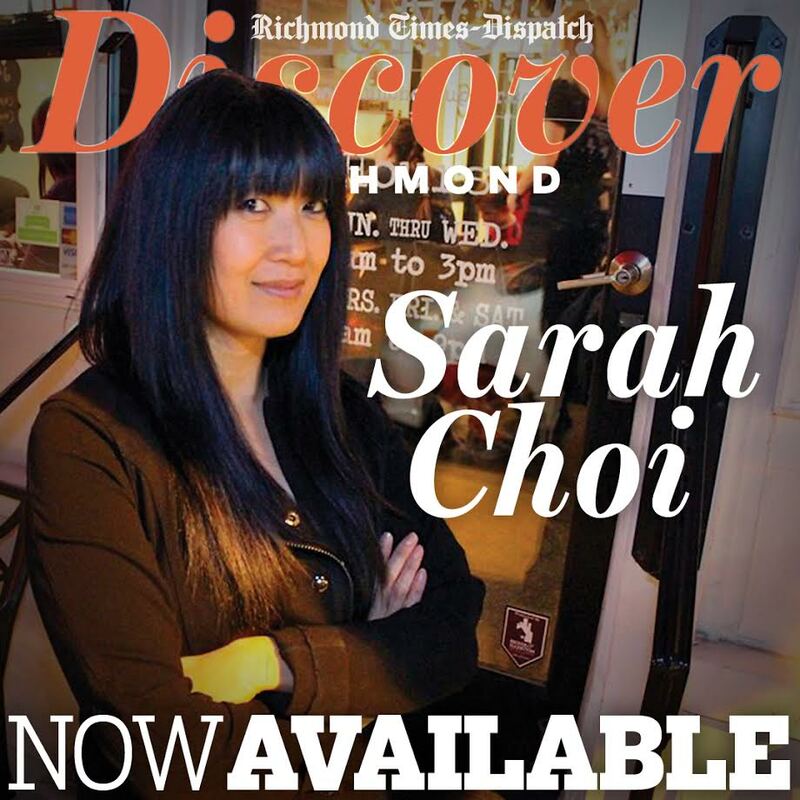 Richmond Magazine named her as one of the top 5 influential “Change Makers” in 2017 for her leadership in the small business community including her role in leading a networking group of more than 4500 local members, with two additional small city chapters and growing!